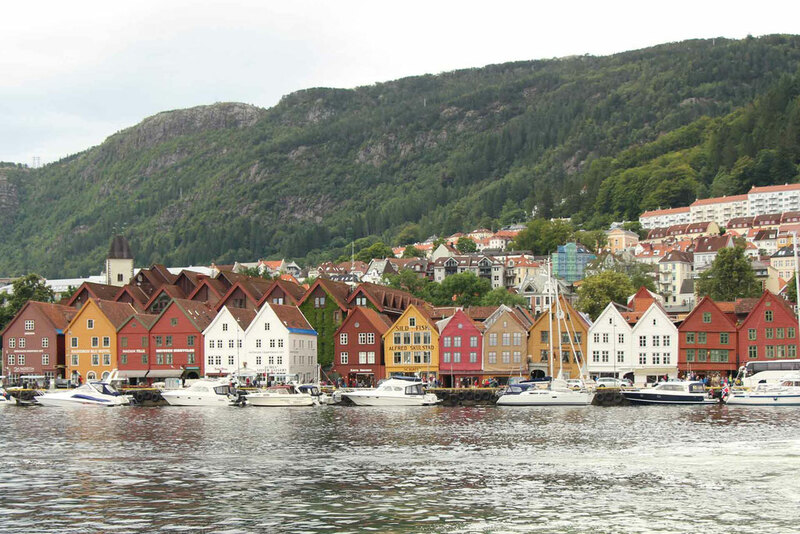 Surrounded by seven mountains and overlooking the sea, Bergen has some of the most impressive scenery in Norway. Whether you plan to use it as a gateway to Norway’s spectacular fjords or to take in the history and culture, you will not be disappointed. 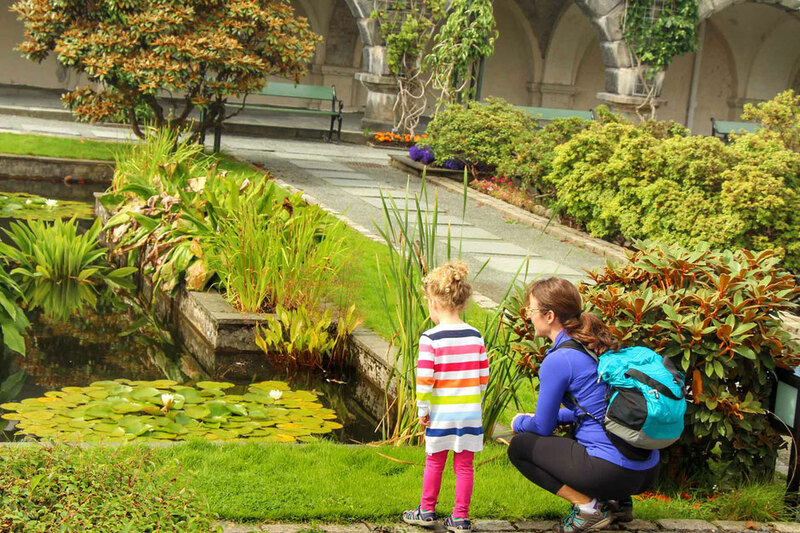 It’s the perfect spot to get your fill of both the natural beauty and old world charm this city has to offer. We’ve become pretty predictable on our accommodations; we find a decent looking Airbnb apartment that’s centrally located and is close to a park and grocery stores. In Bergen, the short walk from the train station to our apartment took us around the beautiful Lille Lungegårdsvannet, a small lake in the center of Bergen. Our apartment was also conveniently close to a bus stop that took us straight to the airport when we left. 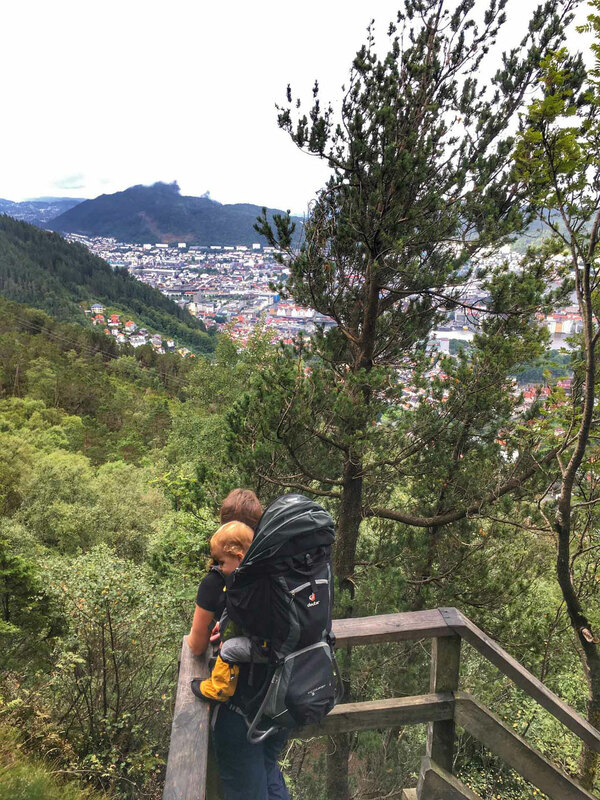 In an effort to reduce the amount of times we would have to pack up our stuff and move the kids, we stayed in Bergen for a full 7 days. Though we loved our time there, we felt we could have reduced this by 2-3 days. What may have also contributed to this was the amount it rained when we were there. By the end of the week we were feeling pretty done with the rain. 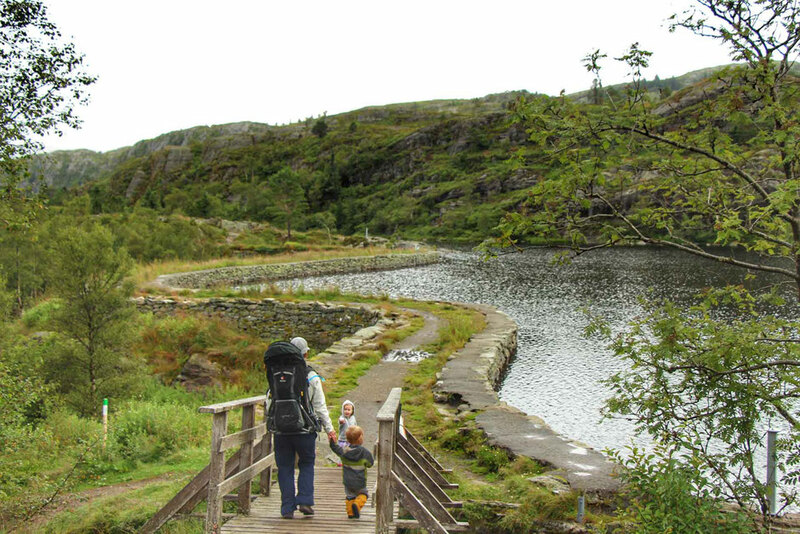 If visiting Bergen with young children, we would recommend staying 4-5 days in Bergen, especially if you are interested in doing some hiking in the area. 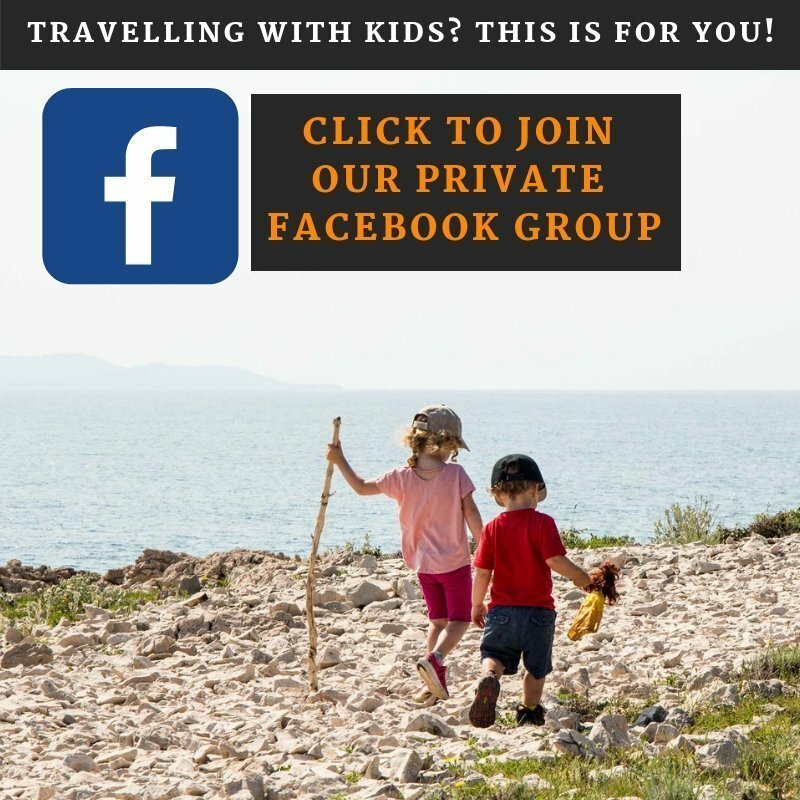 Looking to save money on your trip to Norway with kids? 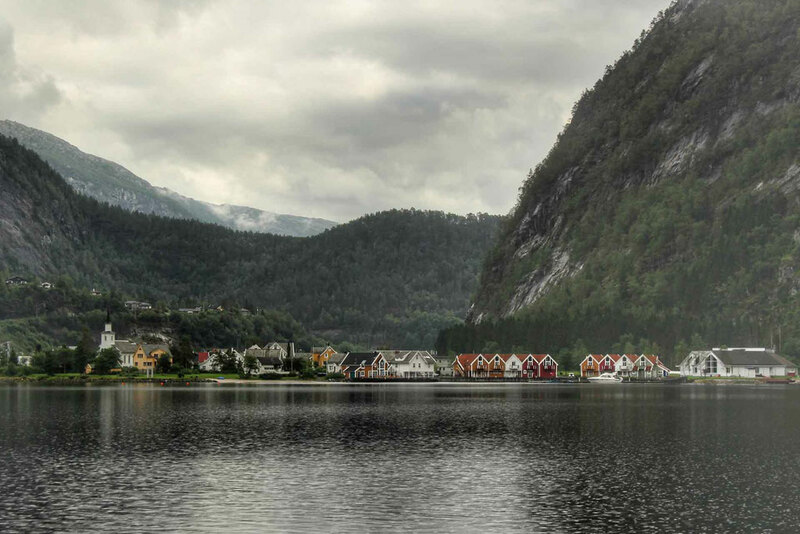 Read about our Top 9 Ways to Save Money in Norway. 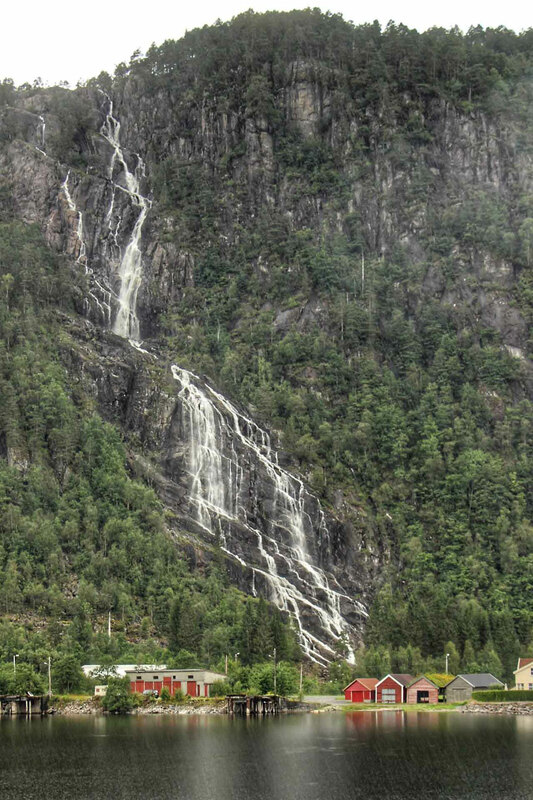 If possible, we recommend taking the Bergen Railway between Bergen and Oslo. 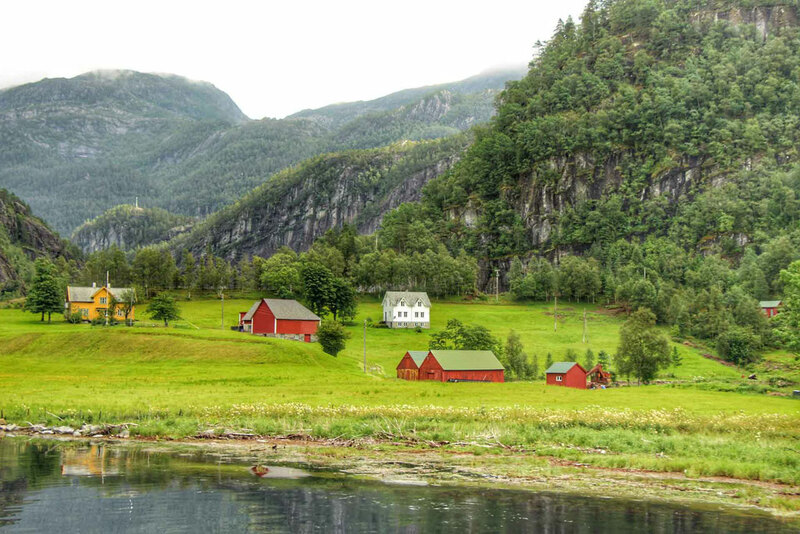 You can see our full post on this scenic train ride from Oslo to Bergen. 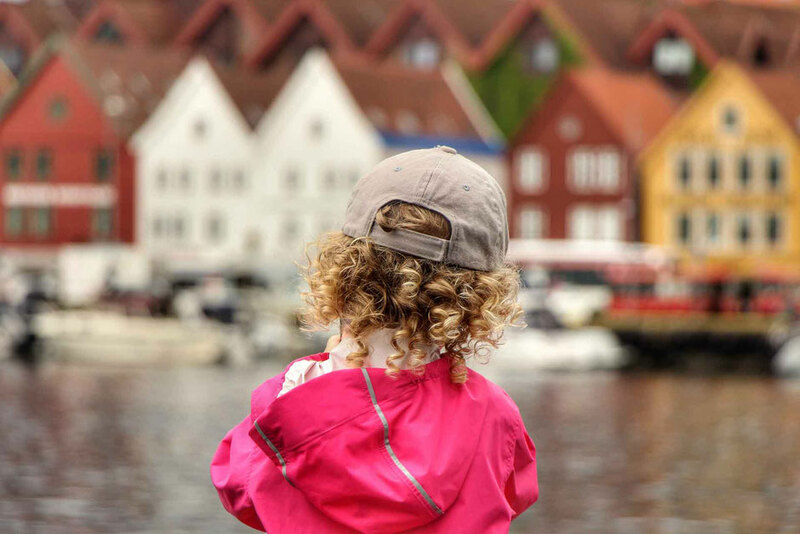 See how we spent 5 days in Oslo with kids before taking the train from Oslo to Bergen. 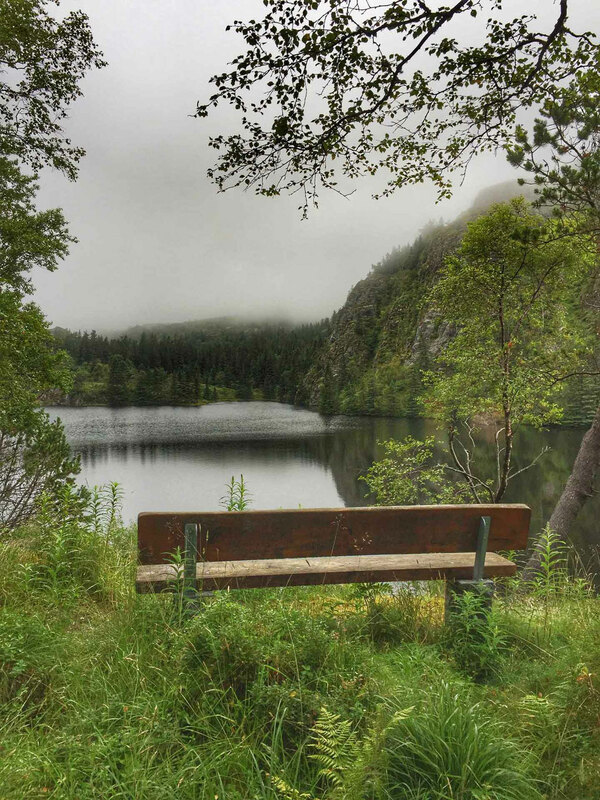 Bergen is home to the second largest airport in Norway, and there are lots of convenient direct flights from international hubs. Flybussen Airport buses and Bybanen (Bergen light rail) are great options that take about 30 minutes from the airport to central Bergen. It’s not easy to get to Bergen by bus. A trip from Oslo requires a change of bus in Seljestad. There is also an express bus between Stavanger and Bergen that stops in the city centers. 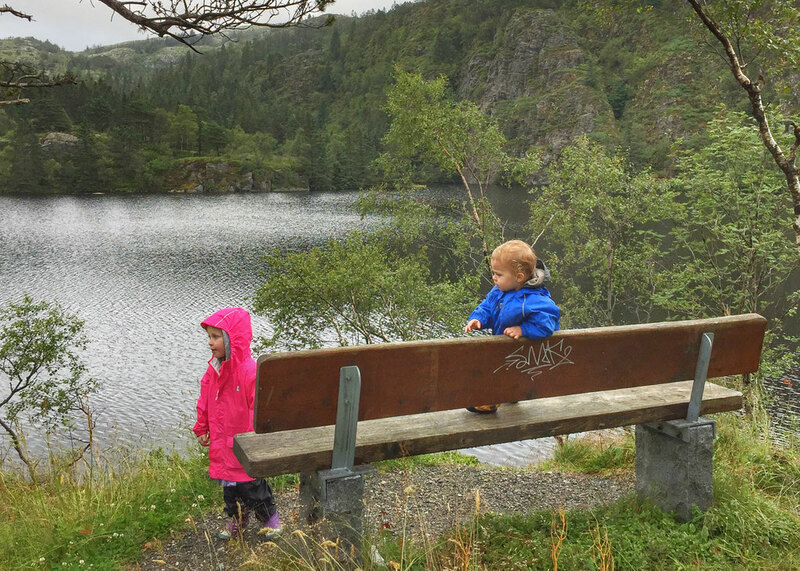 When it was time to leave Bergen, we seriously looked into taking the bus from Bergen to Ålesund to enjoy the spectacular coastal scenery, but in the end we decided it was just too time consuming with two small kids who likely wouldn’t have much of a tolerance for multiple long bus rides. Arriving by the Hurtigruten or cruise ship will get you within walking distance to the city center. 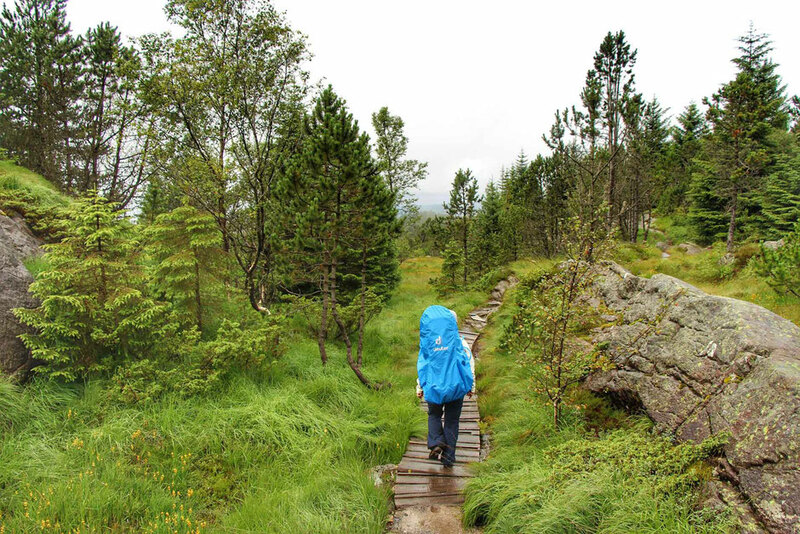 We found the easiest and best way to get around Bergen was by walking. For slightly longer trips where we wanted to save time, the city buses operated by Skyss were very fast and convenient. They aren’t a fast way to get around, but the CitySightseeing Hop-On Hop-Off bus is a fun way to see Bergen at your own pace. 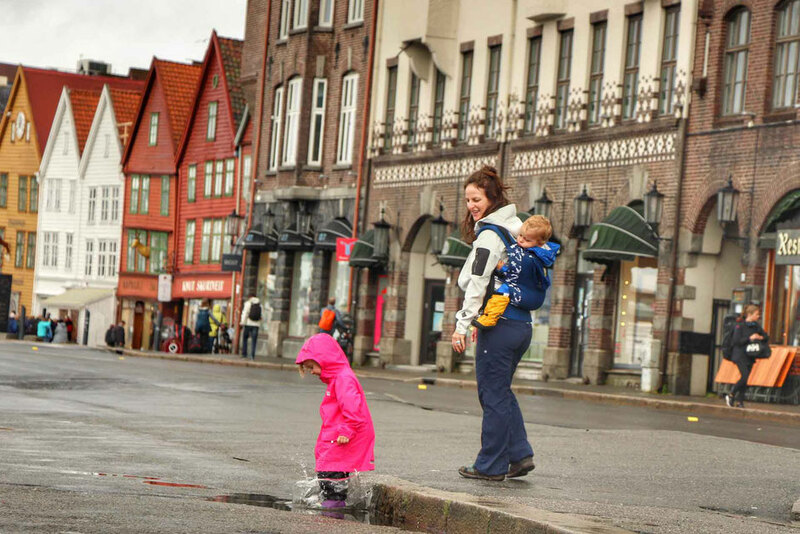 Bergen has been called the “rainiest city in Europe”. Whether this is true or not, plan to have an umbrella or rain gear. We opted for rain gear and also had access to umbrellas from our Airbnb apartment. 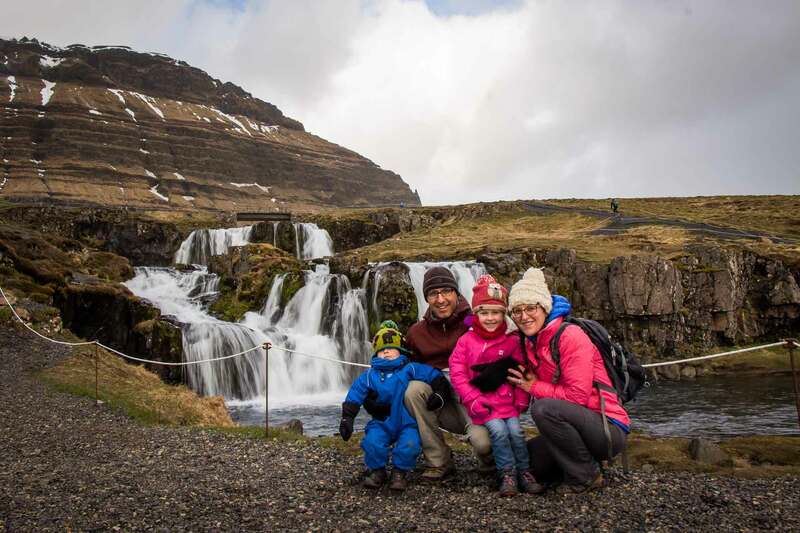 It’s been our experience that when you visit a place where it rains a lot, like Norway or Kyoto, you won’t have any trouble finding an umbrella there and they are usually provided. We prefer to bring rain gear since it’s easier for us all to stay dry instead of trying to huddle under umbrellas. 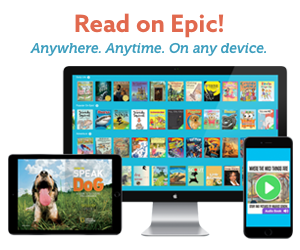 Also, have you ever tried to run after a toddler in the rain on a windy day with an umbrella? 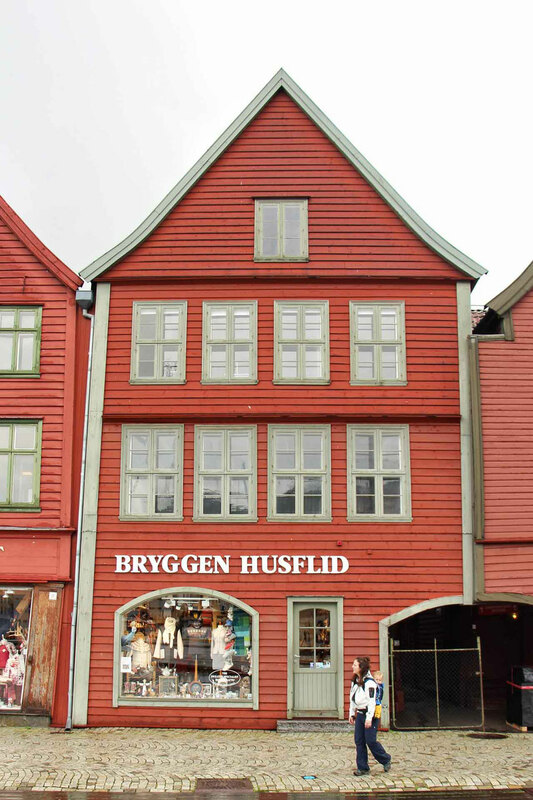 Bryggen is a series of Hanseatic commercial buildings lining the eastern harbor of Bergen. Stacked tall, and side-by-side, these colorful buildings with high pitched roofs are very atmospheric. The buildings are, of course, filled with shops and restaurants now. 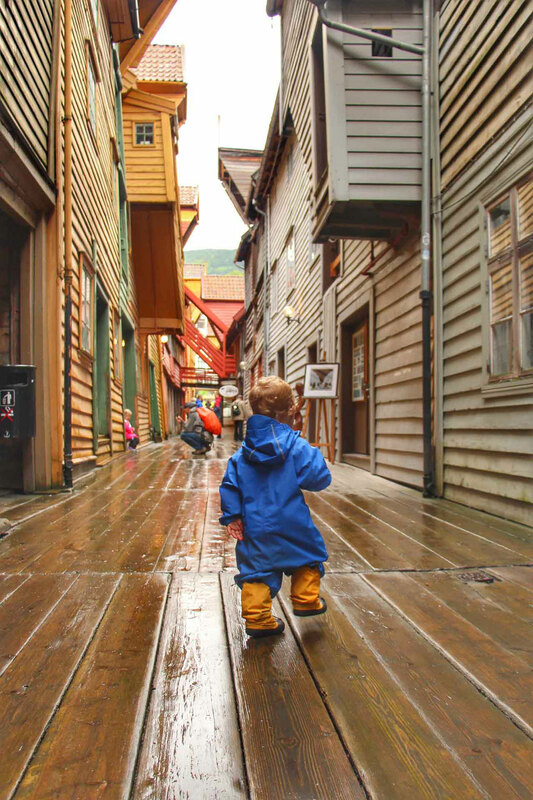 In addition to the buildings, there are deep wooden alleyways which run perpendicular to the main street which are fun to explore. Since we were there before any of the crowds arrived, our kids had the run of the place, literally. They enjoyed running up and down the little alleyways. 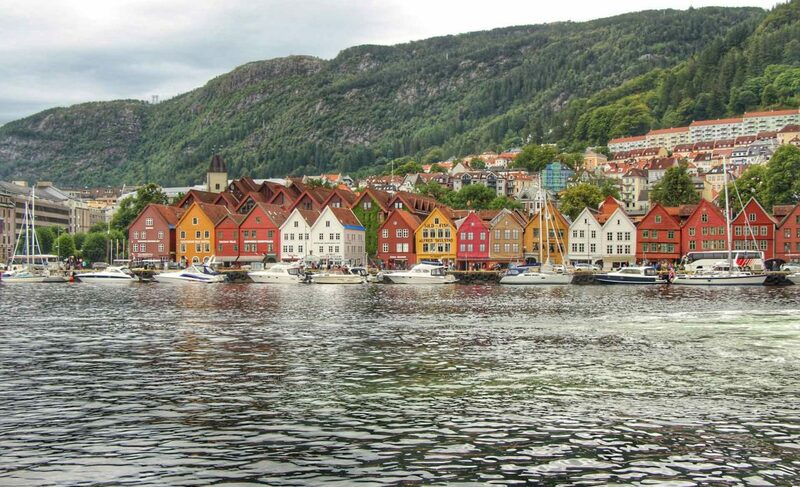 Bergen is a perfect spot to start your cruise in Norway! 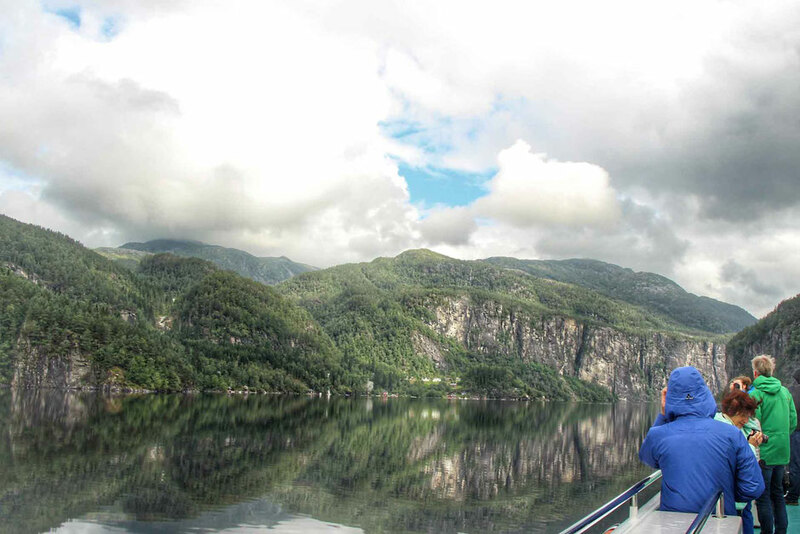 Read more on Cruising the Fjords of Norway. It wasn’t long before we were lured into a bakery by the wonderful smells and we all split a Skillingbolle (a cinnamon bun) and an apple turnover. 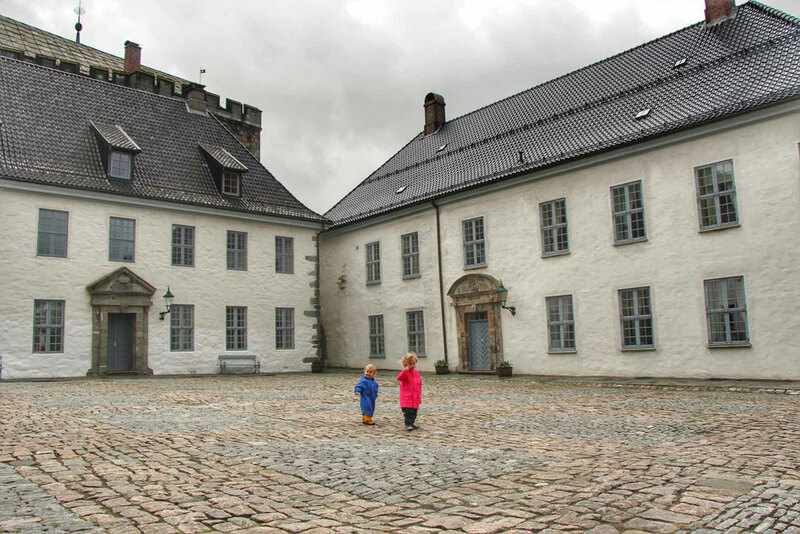 The Bergenhus Fortress is one of the oldest castles in Norway and is just a short walk from Bryggen at the entrance of the Bergen Harbor. It was a beautiful setting right by the water, but large parts were closed to set up for a concert. We managed a quick look around but opted to skip the tower. Nygardsparken is a long, narrow park filled with old trees and lined with beautiful houses. The park had a tire swing hanging from the limb of a very big tree, but no playground to be found. 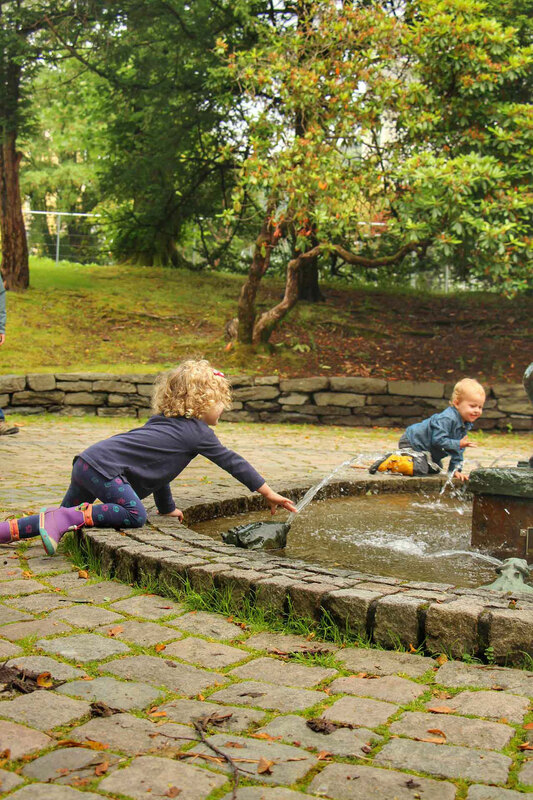 There were a few fun little fountains which the kids splashed in, as well as a large pond with ducks. As luck would have it, it started to rain pretty hard when we got to the very far end of the park. With rain gear back on we continued our walk around the nice houses surrounding the park before heading back to our apartment to get dry. Though flooded with tourists, the view from the top of Mt. 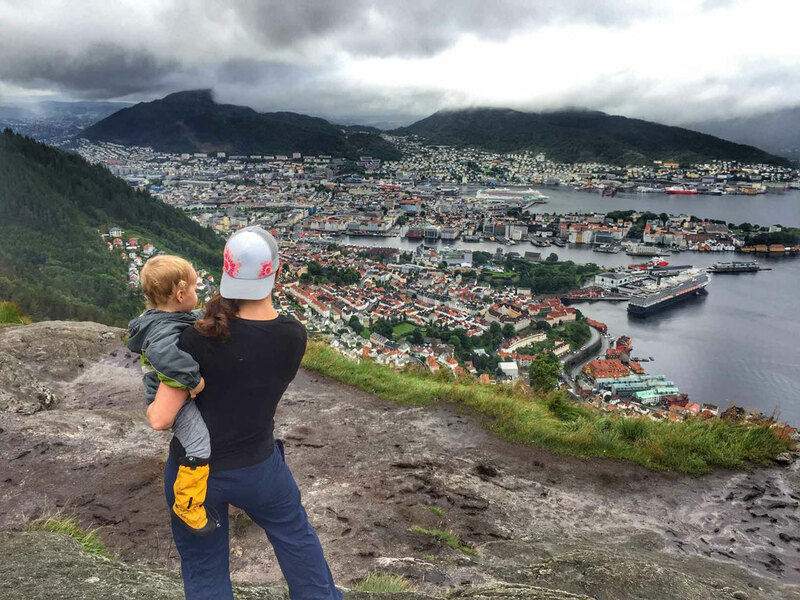 Fløyen is worth the crowds. 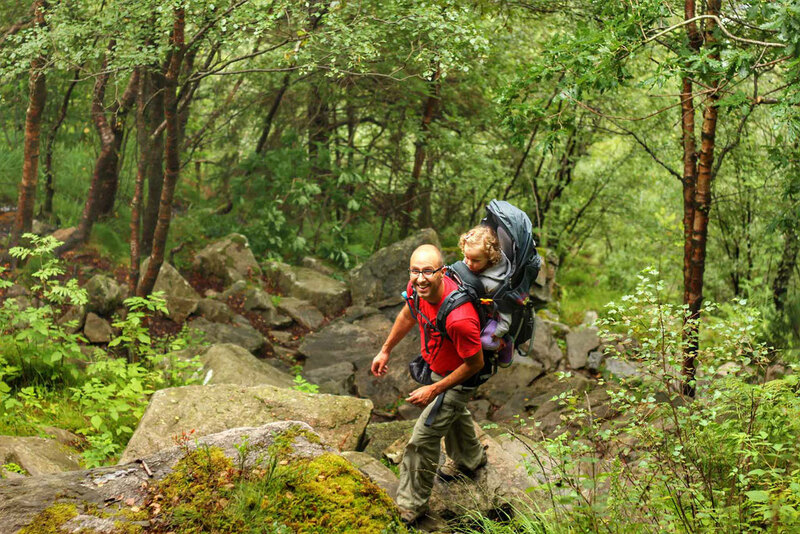 In an effort to be on foot as much as possible, we put the kids in the backpack carriers and did the hike up Mt. Fløyen. 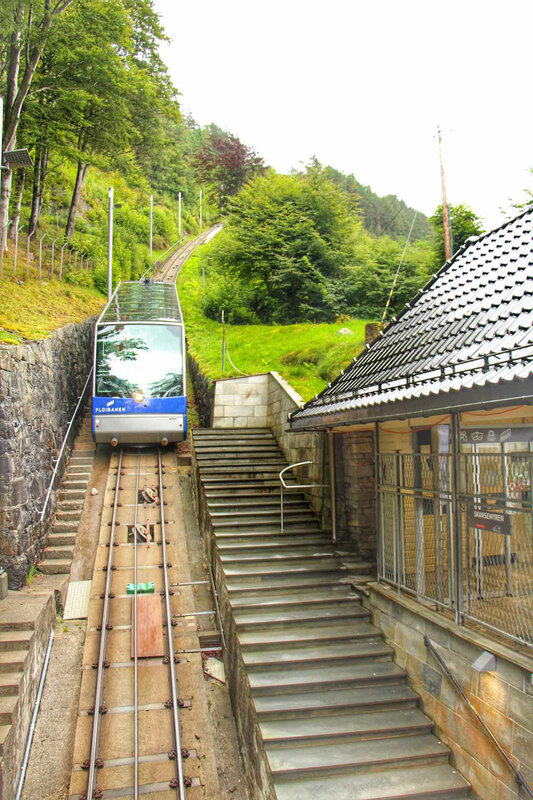 We began the hike at the ground terminal for the Fløibanen Funicular. The bottom section was primarily through residential streets up the odd set of stairs or on paved roads. Soon enough the trail transitioned to forest with gravel paths. The forest was dense and very lush with many waterfalls along the way. The hike was reasonably well marked. It took us just over an hour to make it to the top. At the top, once we got out of the trees, it became noticeably colder with the wind, even if the sun was out. Packing a jacket is a must, even on a warm day. The weather can change quickly! 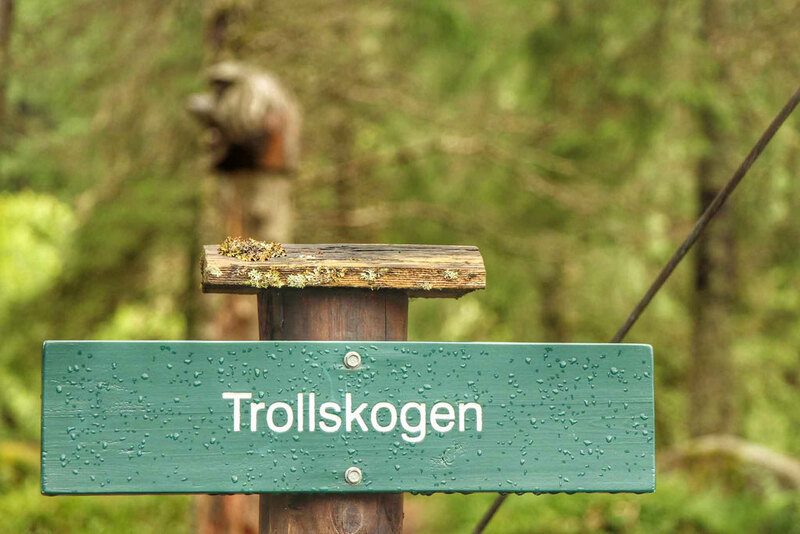 At the top is the Troll Forest, which is a fun & easy hike for little kids. 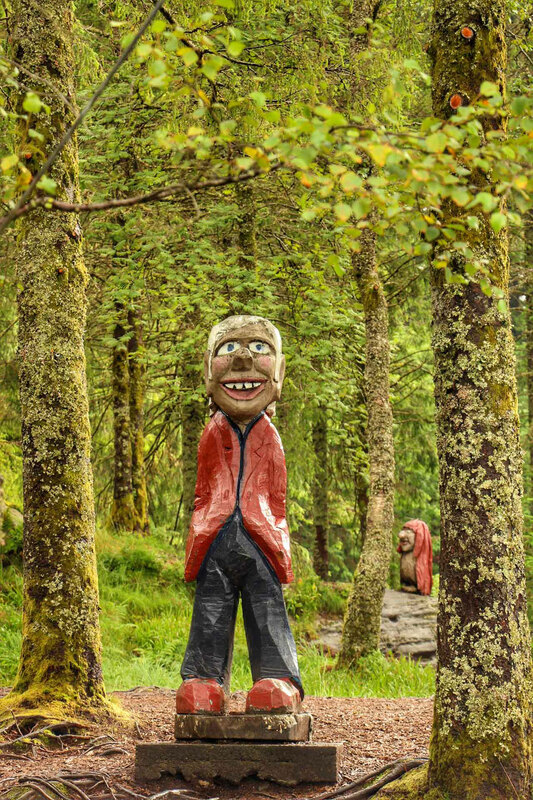 There are many trolls carved out of wood for the kids to find and enjoy. There are also pieces of playground equipment scattered throughout the area. This area was a lot of fun, but we cut it short as the ground was so muddy from all the recent rain. 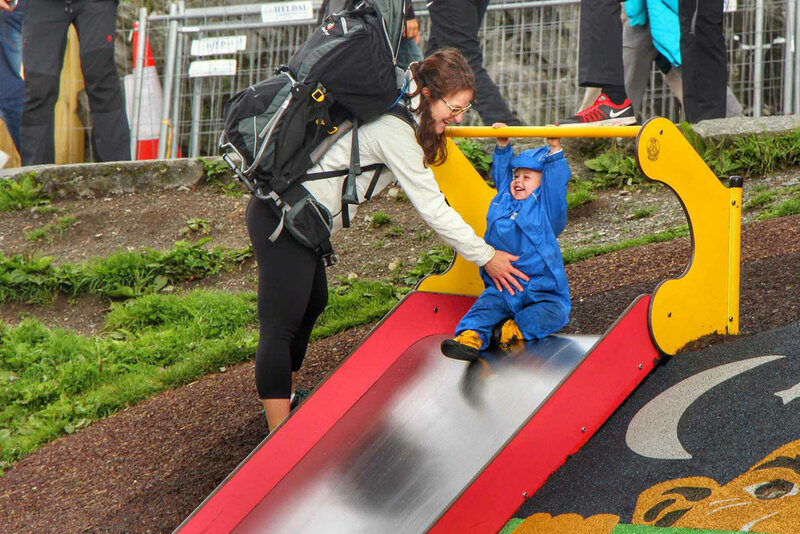 There is another playground by the upper terminal, with plenty of equipment for older kids and some things for smaller kids too. Tip: If you have older kids plan extra time for the top for the zip line park and obstacle course! While warming up with a hot chocolate from the café, we couldn’t miss the incredible views from the platform, which is the real reason everyone makes their way up Mt. Fløyen. Though we preferred the forested trail, we decided to take the other trail back down. This one was paved the whole way (easily done with strollers as was evidenced by the many people we saw walking up with their strollers) but definitely busier. We were able to find our way up and down the mountain ourselves by using our favorite hiking app. If you’d prefer, you can also hire a guide to take you up. 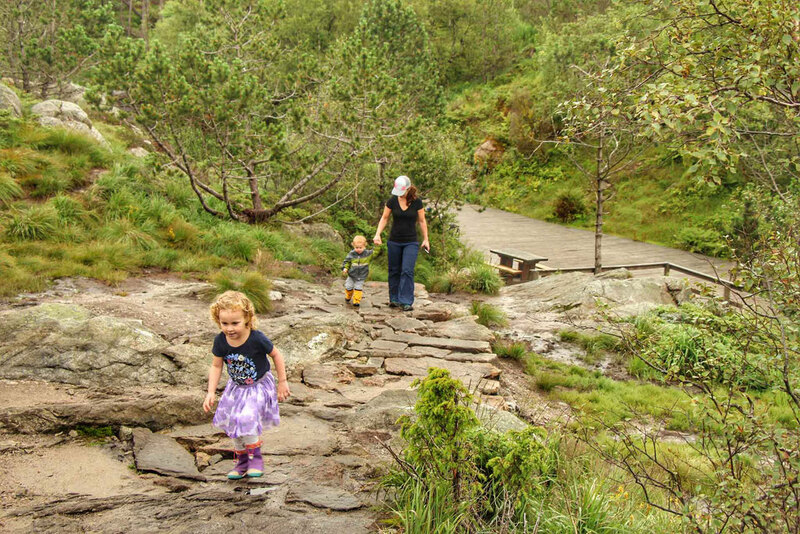 While researching hikes around Bergen, we came across the Sandviksfjellet hike. With the kids in the backpack carriers, we hopped on city bus number 4 towards the Sandviken part of town, where the Sandviksfjellet hike begins. To get to the trailhead, we navigated through some of the residential streets and pathways. 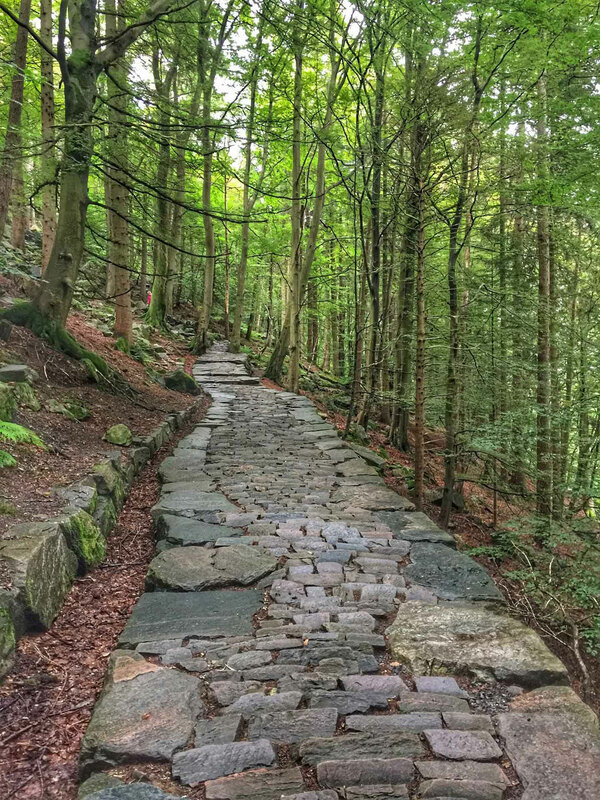 The trail starts off rather easy with a slight uphill, but it isn’t long until the path turns into steep stone stairs. The stairs continue virtually unbroken until you get to the top. 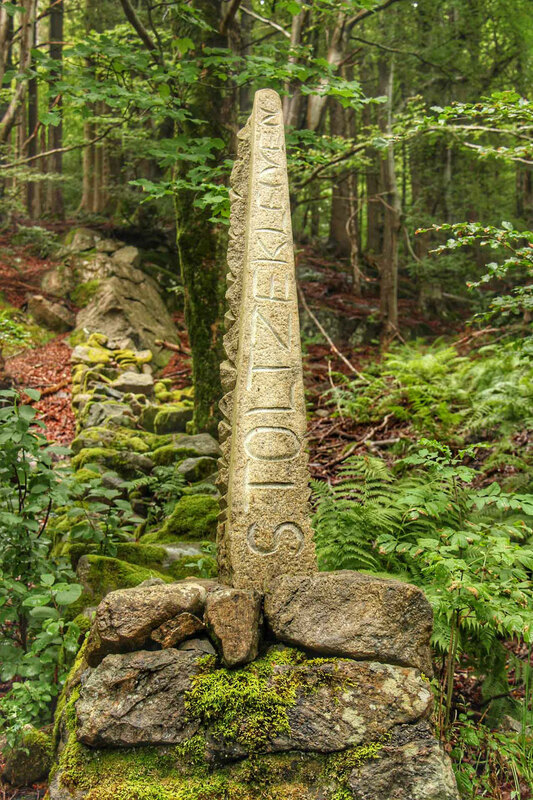 Accounts vary, but the estimated step count is 722 and the elevation gain is ~985 feet (300m). Despite the grueling nature of the hike, it was a very beautiful hike. The forest it went through was so lush with massive old growth trees and waterfalls all along the path. 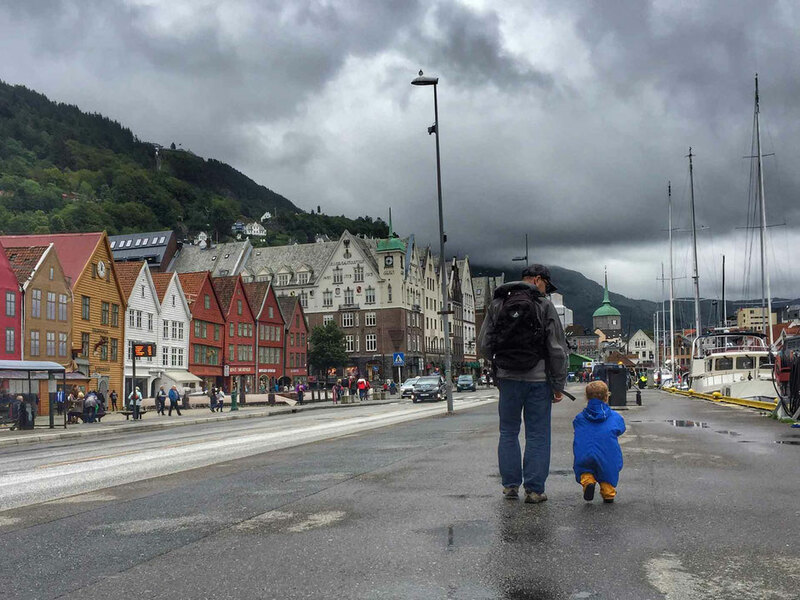 Rain was just going to be a common theme for our time in Bergen. The entire walk up we heard rumbles of thunder, but the dark sky seemed pretty far off, so we kept going. It started to sprinkle just as we got to the top. Luckily there was a weather shelter at the top, so we ducked in for a while to stay dry. A perfect time for a snack. When it seemed the rain wouldn’t amount to much we started our hike, but it wasn’t long before we were getting back into our rain gear and making a beeline for Mt. Fløyen (which we had decided would be easier to hike down than the steep, narrow steps we had just climbed and anticipated would be very slippery in the rain). Even in the heavy rain, we were blown away by the scenery up top. 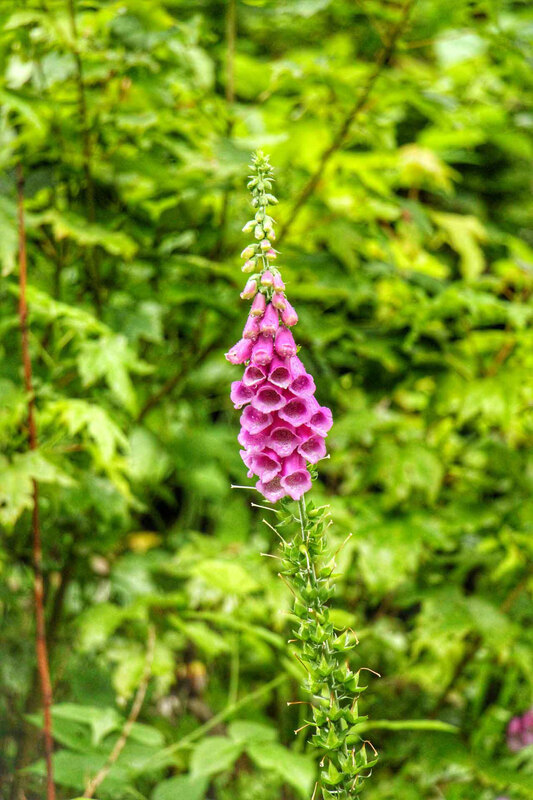 There were a few lakes, lots of trees, long flowing grass and plenty of flowers. By the time we got to the upper Fløyen Terminal (3.5km away), we were exhausted and soaked through, so we decided to buy tickets down on the funicular to save another hour of walking in the rain. 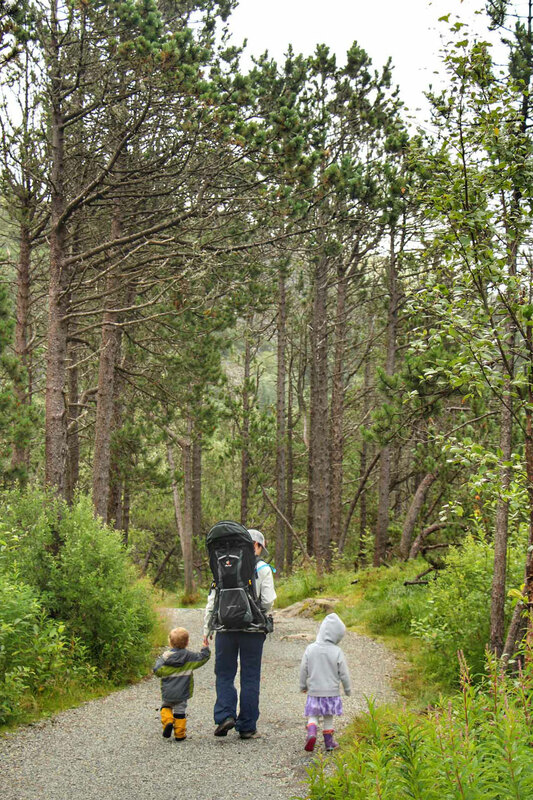 Thankfully, the kids faired pretty well in their rain suits in the backpack carriers with just some cold hands. Feeling a little unsatisfied with our time up in this area, we returned on a different day, this time with the intent of letting the kids hike more themselves. Though still raining off and on, we managed to get in a much longer hike that didn’t involve running to the funicular with kids on our back. This area is really not to be missed. So many large trees covered with moss & lichens, lush grass, lakes, waterfalls, etc. We just loved our time up there. 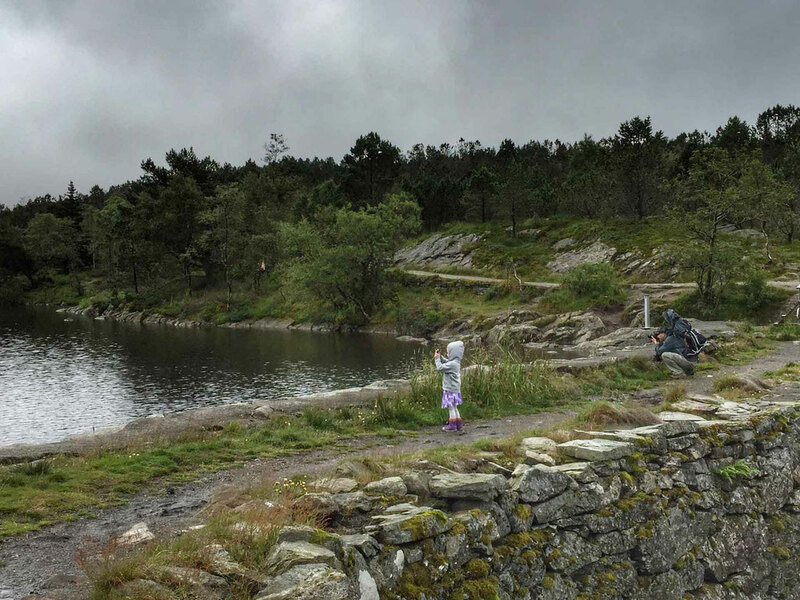 Our hike on this day took us to several lakes and past a towering waterfall which remained mostly cloaked by clouds. Our hiking paths ranged from wide and well groomed, to muddy single track. We found some spots to be quite muddy and slippery, not something you want when carrying kids but we were easily able to get on different paths that took us longer but weren’t as treacherous. After a few days of hiking, we wanted to do something just for the kids. 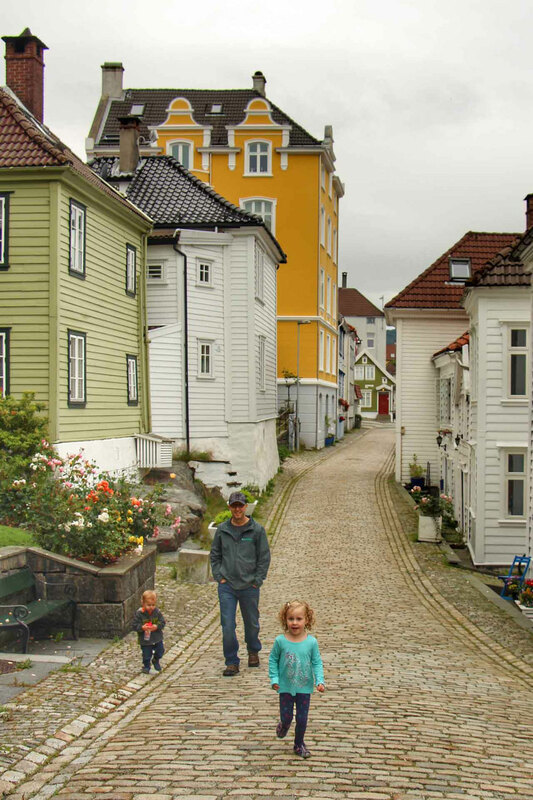 We walked the charming, quiet old town streets to the aquarium on the south west side of the main Bergen peninsula. 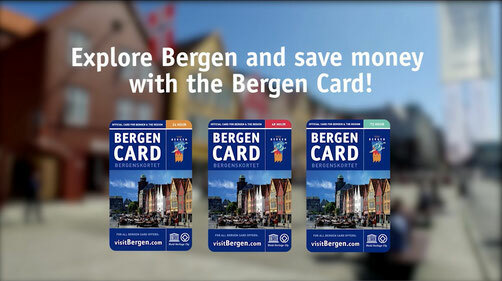 The walk was a great one with the kids and we knew they would love the Bergen Aquarium. The aquarium itself was on the small side, but it packed in a lot despite its size. When we first got there, our daughter ran to a window where sea lions swam past over and over. 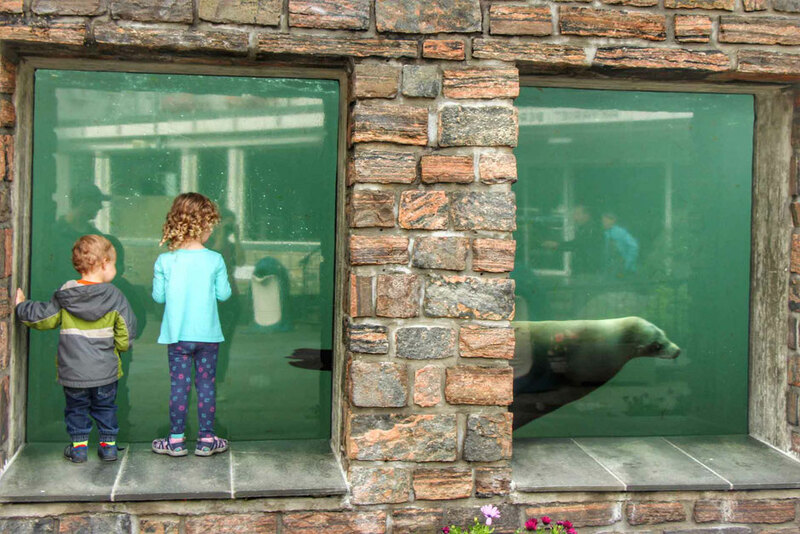 The sea lion was obviously having fun with her as it kept blowing bubbles past her window. We then looked at the penguins for a little bit before heading inside. Expecting the aquarium to get busy, we first went downstairs to the shark tunnel to take advantage of us being there close to opening time. We had the tunnel to ourselves and got to enjoy it without being rushed or crowded. 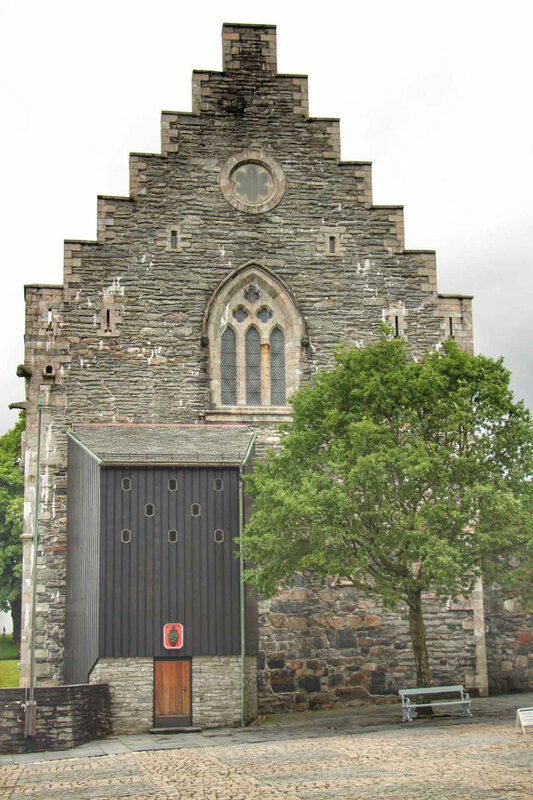 It was smaller than we expected, but it was still very cool – a highlight of the visit. The rest of the level contained lots of small fish tanks. The kids had a lot of fun racing between them to see what was inside. This place was designed with kids in mind as every tank had a bench below where small kids could stand to get a look – very thoughtful. We then went upstairs for a snack by the ‘touching’ pool. A staff member came over and started showing the kids a starfish, sea urchins and crabs for the kids to look at and touch. Then he gave each kid a small handful of raw shrimp and showed them how to feed the fish in the tank. 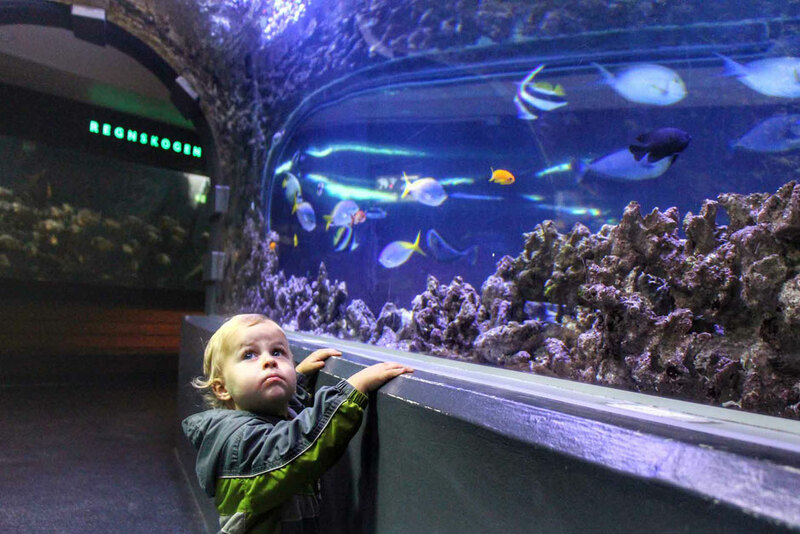 We were impressed how family friendly this aquarium was. It was stroller accessible (had an elevator), with nursing rooms and microwave to heat up baby bottles and even had small little play areas for small kids. Down by the waterfront, these covered stalls had all kinds of seafood on display. Many stalls had tables where you could sit down and eat your purchase right away. 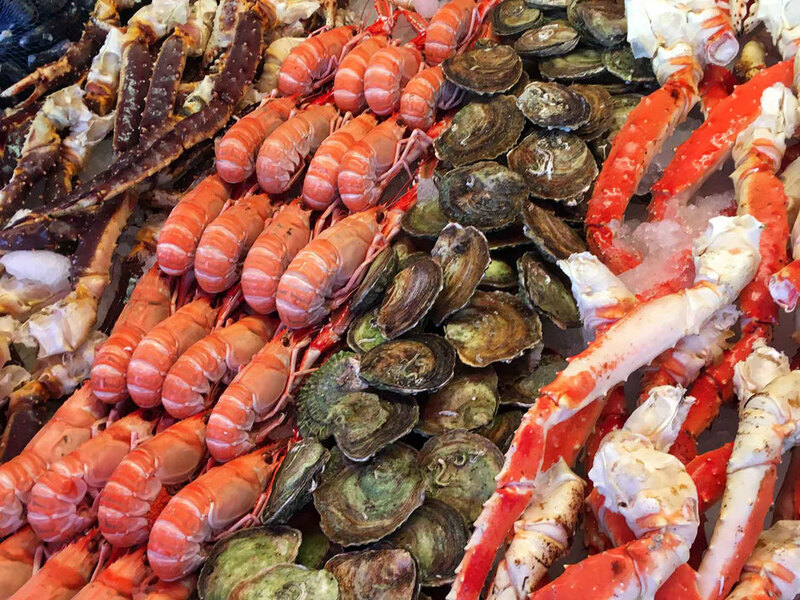 There were some that had king crabs and lobsters, which the kids loved. All in all, we found it to be a short visit of maybe 10-15 minutes. Many of the stalls have whale steaks for sale – please do not buy any as this will encourage more killing of whales. 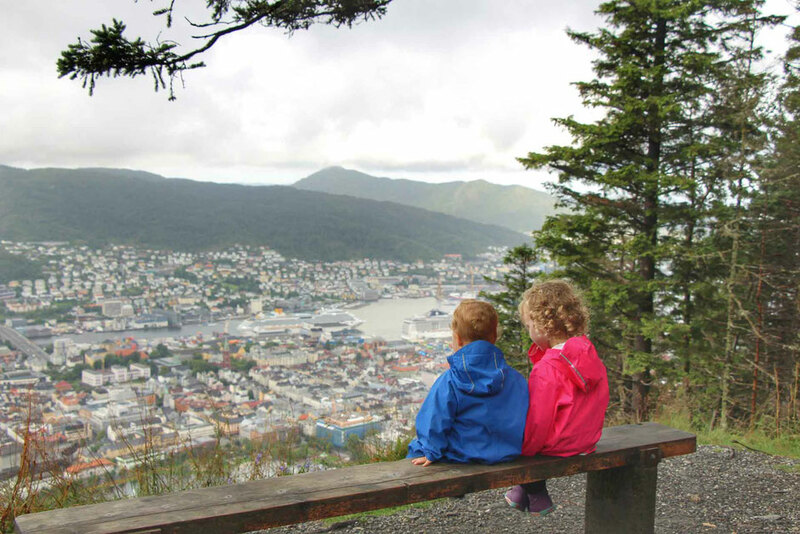 We spent a long time looking into Norway in a Nutshell, but in the end decided it was just too long of a day for our kids, who likely wouldn’t enjoy most of it anyways. 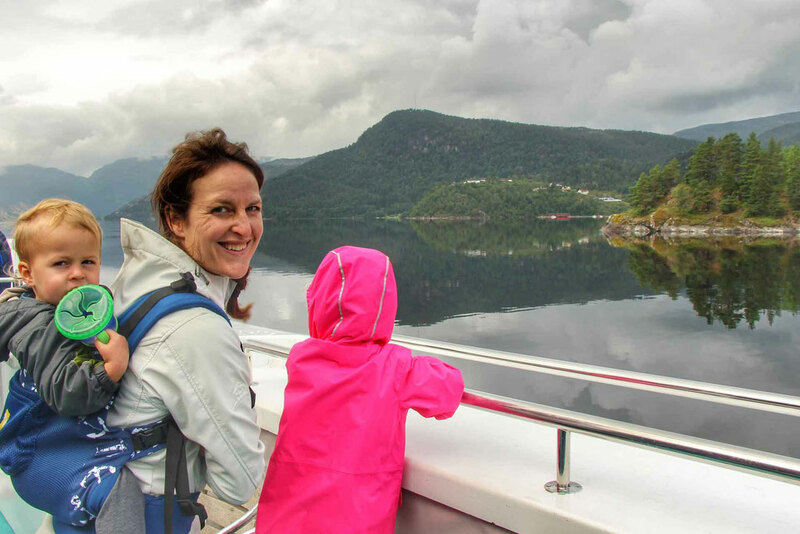 We didn’t want to miss out on a fjord tour, so we found a one that doable with a toddler and preschooler. 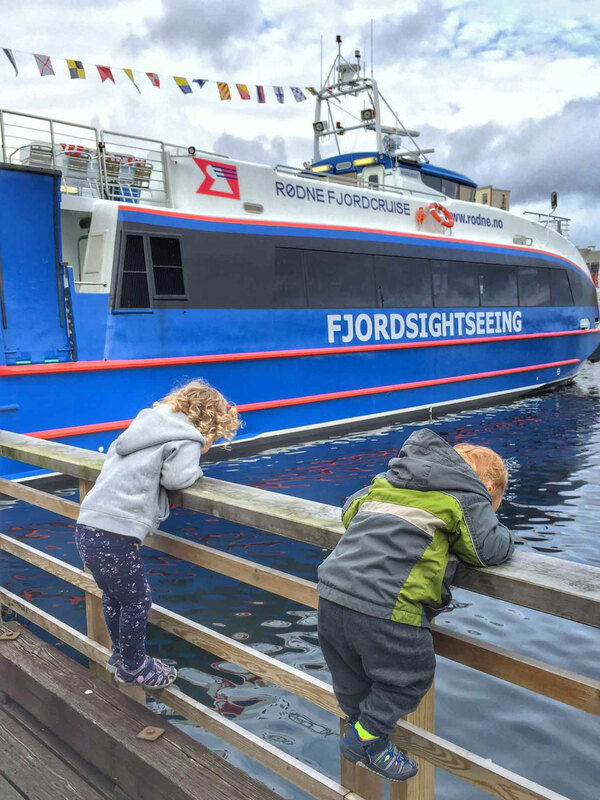 The fjord tour to Mostraumen was only 3 hours and the perfect fjord tour with kids. The boat had two decks – the bottom one inside and an outdoor one up top. The weather was reasonably nice, so we grabbed some seats up top before they all filled up and they did fill up quickly. Tip: Arrive early to make sure you get to sit up top or near a window. 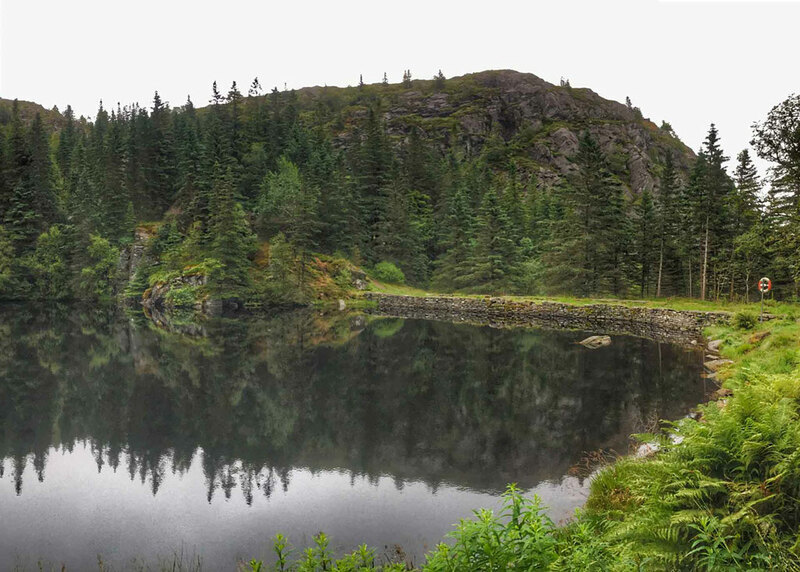 Once we left the Bergen harbor and as we got deeper into the fjord, it became more wild and less populated. The settlements we did see were very picturesque, either farms or very small villages. We saw several large waterfalls and even pulled up to one so they could get some water for everyone to try. The kids had fun, but 3 hours was still a bit long for their attention span. As we neared the halfway point, we grabbed seats inside just before the ship turned around to beat the rush. It was nice to have this option as the kids were happy to get warmed up. We simply took turns going back out onto the deck to enjoy the scenery. The boat was stroller friendly – some people even carried them to the top deck. They even had a change table in one of the restrooms. They have a little store where you can buy snack food & hot drinks. We brought our own lunch for the trip. One afternoon we were looking for something nearby and low key. A walk through the botanical gardens seemed like the perfect idea. 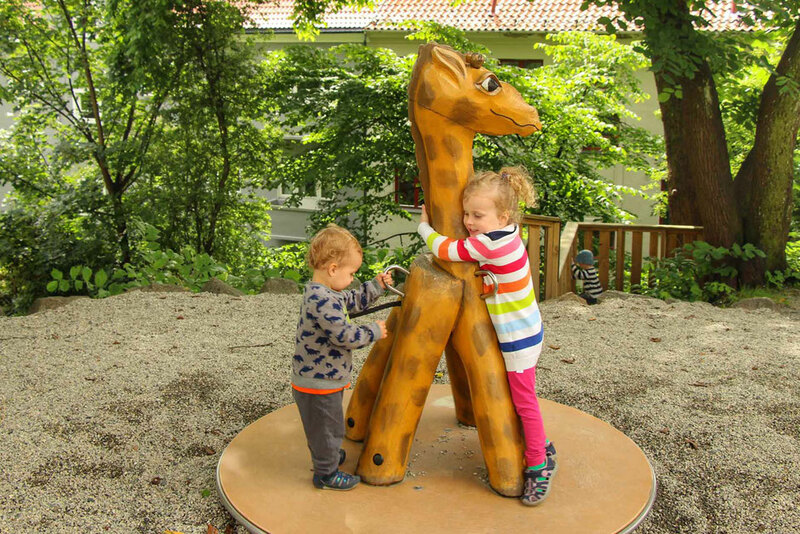 Though underwhelmed by the gardens (there were many areas under construction), we found a playground close by that the kids loved. 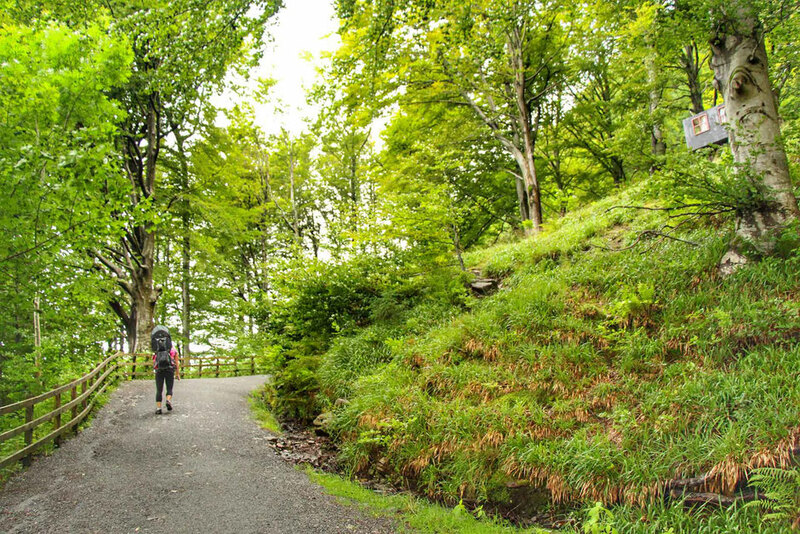 Don’t forget to plan to explore this picturesque city on foot. From the large square in the center of the city with fountains to the beautiful architecture at every turn, you’ll find walking around is an attraction in-of-itself. 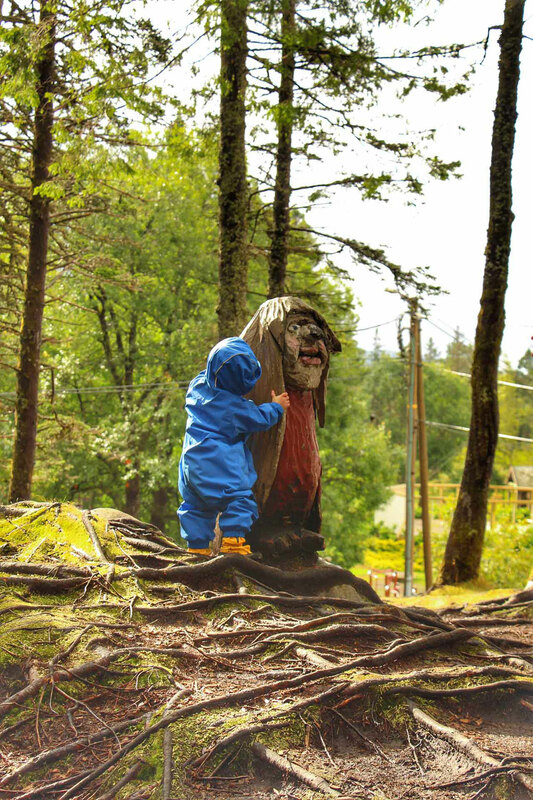 Have you been to Bergen with kids? What was your favourite part? Tell us in the comments below. 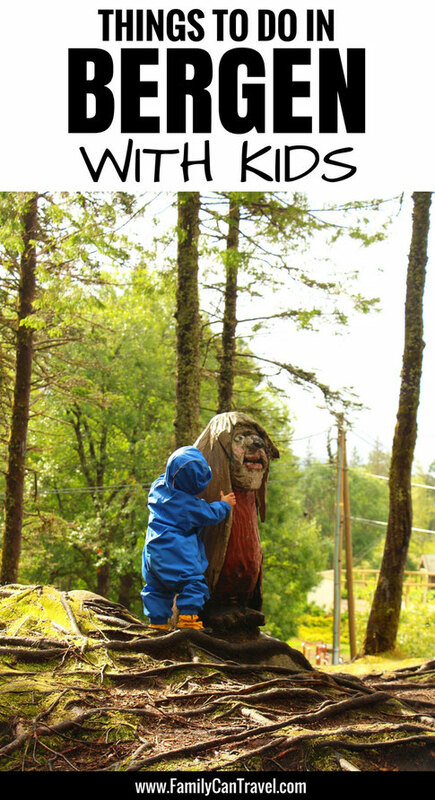 Your posts on Norway have been so helpful in planning my trip with 6 and 1 yo. 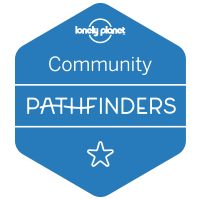 You had me at “we prefer to be on foot and in nature” and we like Air BnB’s by grocery stores and parks. That is exactly how we travel:) A few questions- can you tell me which Air BnB you stayed at in Oslo and Bergen? Also what sort of rainsuit does your son have on? Looks like that would be good for rainy Bergen. Thanks so much!! The one in Bergen was a decent location (we walked almost everywhere) but it wasn’t super clean… I can still send if you want but I bet you can find better. We booked late so didn’t have many options.